... variety, that is. I've just finished 46 sets of bunting with 3 pennants each. My friend Helen runs an after school club, and wanted the kids to make something more permanent than a Mother's Day card, so they're going to write M-U-M on these, with fabric paint. It wasn't a difficult job but it always takes longer than I think. I put ribbon underneath, with lace on the front to cover the stitching and make them a bit prettier. Mum's indoor poncho is coming on at a reasonable pace. I love Lisa's (Attic 24 blog) ripple pattern but I find it gets a bit boring, working in the same colour all the time - one drawback of being a flutterby! Hi there, thanks for the peek into your world this week. 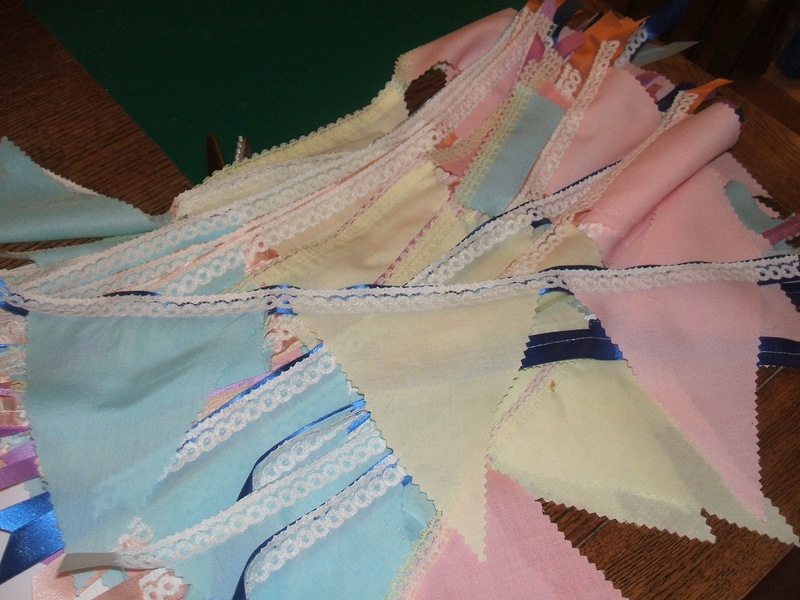 The bunting is a great idea. have a great WOYWW and a wonderful week! 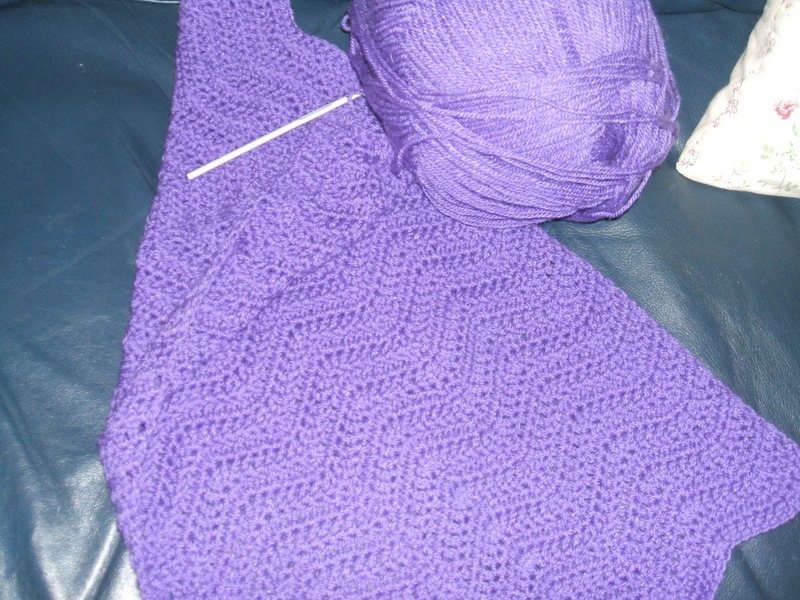 Making a poncho is almost like making a blanket, isn´t it? It is looking beautiful! I love the color you choose for your Moms Poncho! The kids and Mom's are really going to enjoy those!